Hacking Exposed Computer Forensics Blog: Daily Blog #158 Happy Thanksgiving! It's Thanksgiving in America and I had a great day of cooking and enjoying family time. My wife always tells me that I should break up the technical posts with a recipe now and then so let's do that. If you are my friend on Facebook you would know that on fathers day I got a Weber Smokey Mountain smoker and I've been reaching my full potential as a Texan ever since by using it. I used it this morning to make a smoked turkey that was met was happy bellies. There is a lot of words there, and if you want to make the most amazing meal of your thanksgiving days you should read all of them. The summary though is as follows. 1. 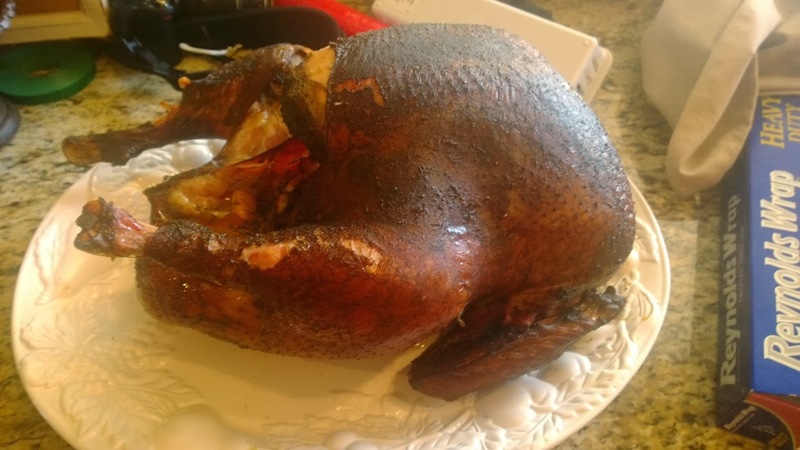 It takes multiple days to actually defrost a turkey, make sure you buy it 4 days before and let it rest in the fridge or cooler to fully defrost. 3. The night before you are going to cook, get a rub (either store bought or follow a recipe on amazing ribs) and mix it with equal parts olive oil to make it a wet rub. This is what the turkey will look like!